George Washington was awarded the first in 1776. The Wright Brothers, Thomas Edison, Jonas Salk, Robert Frost, Elie Wiesel, Rosa Parks, the Navajo Code Talkers and the Tuskegee Airmen are among those who have been honored with a Congressional Gold Medal since. In 2011 the United States Congress approved the “Fallen Heroes of 9/11 Act” which added “the men and women who perished as a result of the terrorist attacks on the United States on September 11, 2001” to the distinguished list of recipients of the nation’s highest civilian award. Pennsylvania Congressman Bill Shuster introduced the “Fallen Heroes of 9/11 Act” and the 112th Congress enacted Public Law 112-76 awarding the Congressional Gold Medal to each of the three 9/11 attack sites. Congress found “it is fitting that their sacrifice be recognized” and the Congressional Gold Medal, an expression of the nation’s appreciation, be awarded. The Congressional Gold Medal is round in shape, three inches in diameter, and contains approximately 15 ounces of gold. 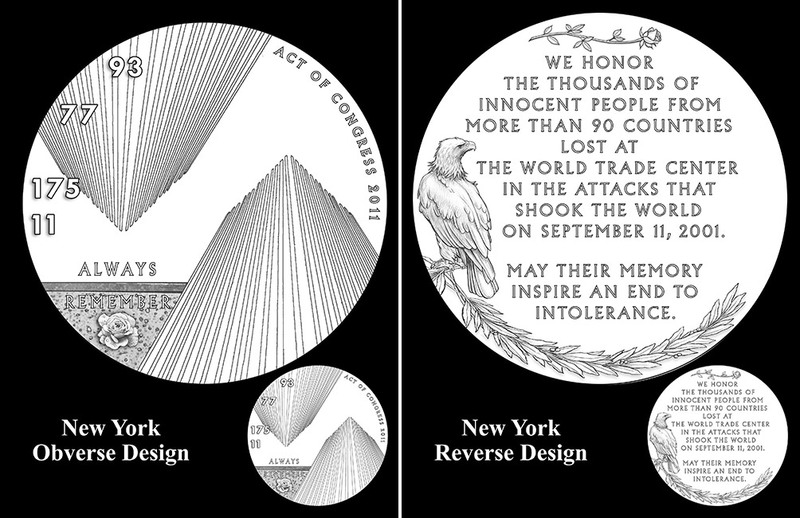 Each of the three Congressional Gold Medals awarded by the “Fallen Heroes of 9/11 Act” was uniquely designed by a US Mint sculptor engraver. The Flight 93 Congressional Gold Medal was designed by Joseph Menna and Phoebe Hemphill and struck by the US Mint in Philadelphia. 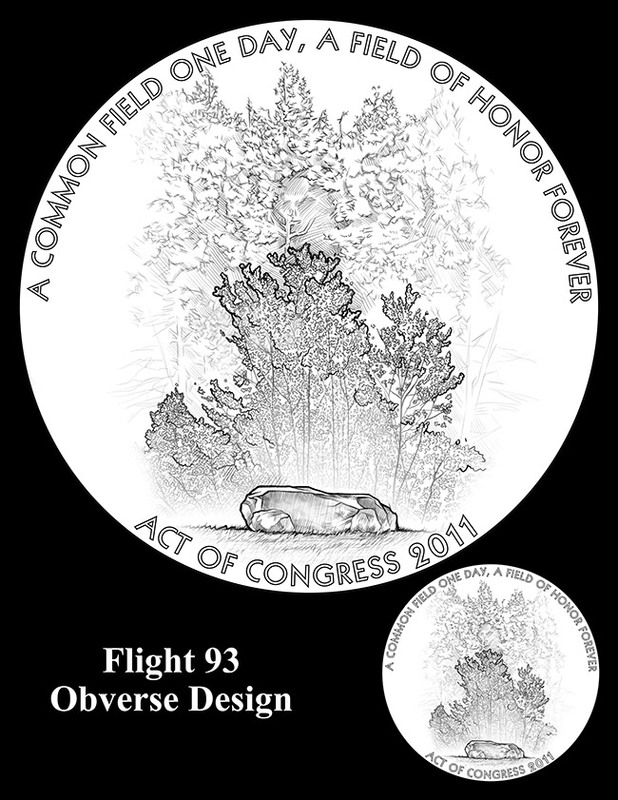 The obverse of the Flight 93 Congressional Gold Medal features the Pennsylvania field where Flight 93 crashed, including the towering hemlock groves beyond the sandstone boulder that marks the crash site at Flight 93 National Memorial. The Medal bears the inscription: A COMMON FIELD ONE DAY, A FIELD OF HONOR FOREVER, ACT OF CONGRESS 2011. The reverse of the Flight 93 Congressional Gold Medal has 40 stars, one for each passenger and crew member, on a raised edge. The design features the US Capitol with a sentinel eagle clasping a branch of laurel. 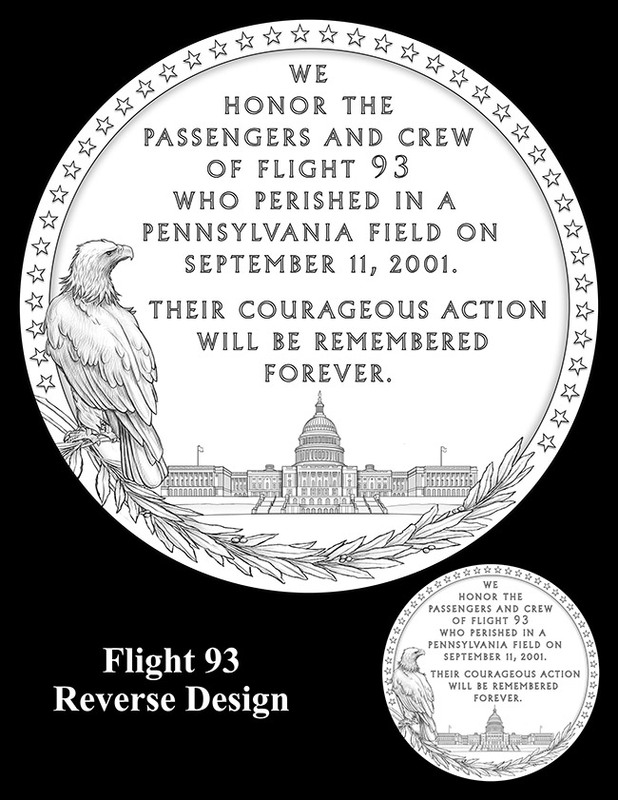 The Medal inscription reads: WE HONOR THE PASSENGERS AND CREW OF FLIGHT 93 WHO PERISHED IN A PENNSYLVANIA FIELD ON SEPTEMBER 11, 2001. THEIR COURAGEOUS ACTION WILL BE REMEMBERED FOREVER. The Congressional Gold Medal was presented to the National September 11 Memorial and Museum, the National 9/11 Pentagon Memorial, and Flight 93 National Memorial in a ceremony in the US Capitol on September 10, 2014. Gordon Felt, President of the Families of Flight 93, accepted the Medal on behalf of the passengers and crew of Flight 93 and the National Memorial. Following the Medal ceremony, Felt and Flight 93 Superintendent Jeff Reinbold visited the bronze plaque in the Capitol that honors the passengers and crew for their actions on September 11, 2001. The Flight 93 Congressional Gold Medal is now on permanent display at Flight 93 National Memorial. 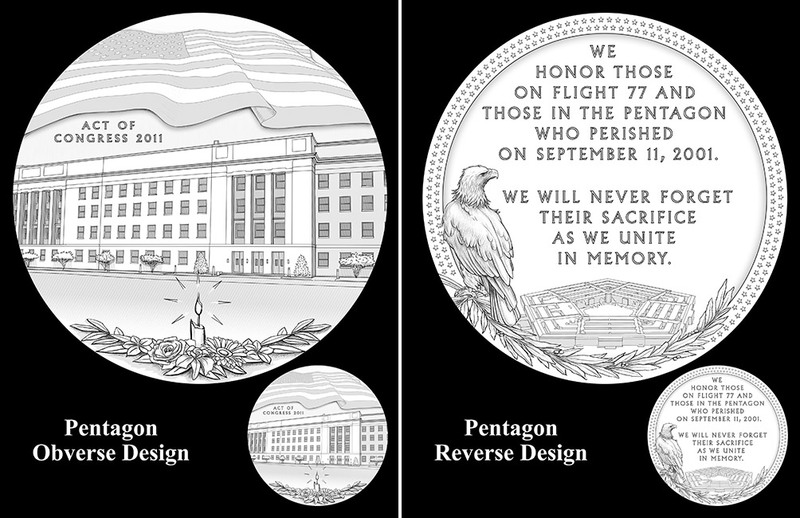 Bronze versions of these Medals have been struck and are available for sale by the US Mint. The sale of these Medals assists in recovery of the cost of producing the three Congressional Gold Medals.